London wine bar Humble Grape is preparing to launch a third crowdfunding campaign to fund a new wine bar in Canary Wharf. The company is launching an EIS equity investment round on Seedrs next month to raise £500,000 for the new wine-bar – its fifth – in London’s financial district. In an email to potential investors, the company said it had secured the lease for the prime site, which it said had very little competition in the wine space, and the potential to add around £2- £2.5 million revenue to the group. “The site EBITDA is well above the industry standard of 20% despite the current market,” it said, adding that the site could reach a “great demographic”. Investments are set to start at a few hundred pounds with some investors investing between £5,000 to £50,000, it said. 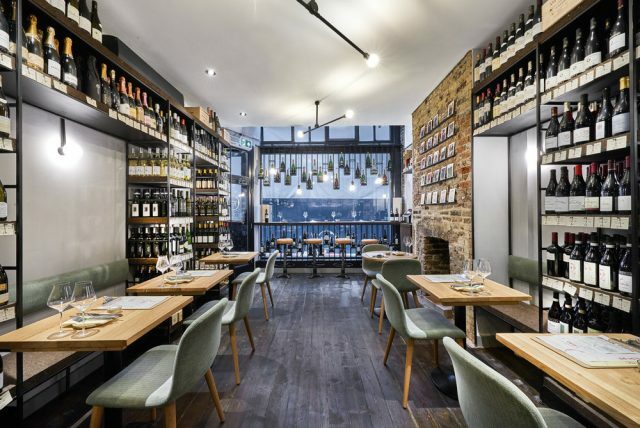 The independent wine bar and importer, which focuses on importing handcrafted, organic, and biodynamic wines direct from the producer, already has four sites across the capital, in Fleet Street, Battersea, Islington and Liverpool Street. The company’s last crowdfunding drive in April 2017 raised nearly £1.3million, which was raised to fund its third and fourth sites in London, with the company planning to open a further two – four sites each year, with the ultimate aim of around 20-sites. At the time founder James Dawson told db he would like to take the brand beyond its London heartland and establish a foothold in Birmingham, Manchester and Liverpool by 2020. Speaking to db in 2017, he said he envisaged these conforming to two different models – a city centre wine bar with a simple food proposition and small retail offer, like its Fleet Street bar, or a large ‘neighbourhood’ site, with a bigger food offering, like its Battersea shop.